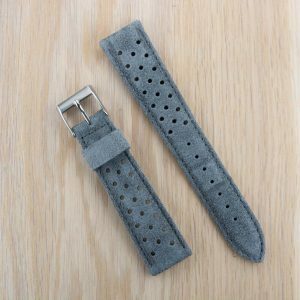 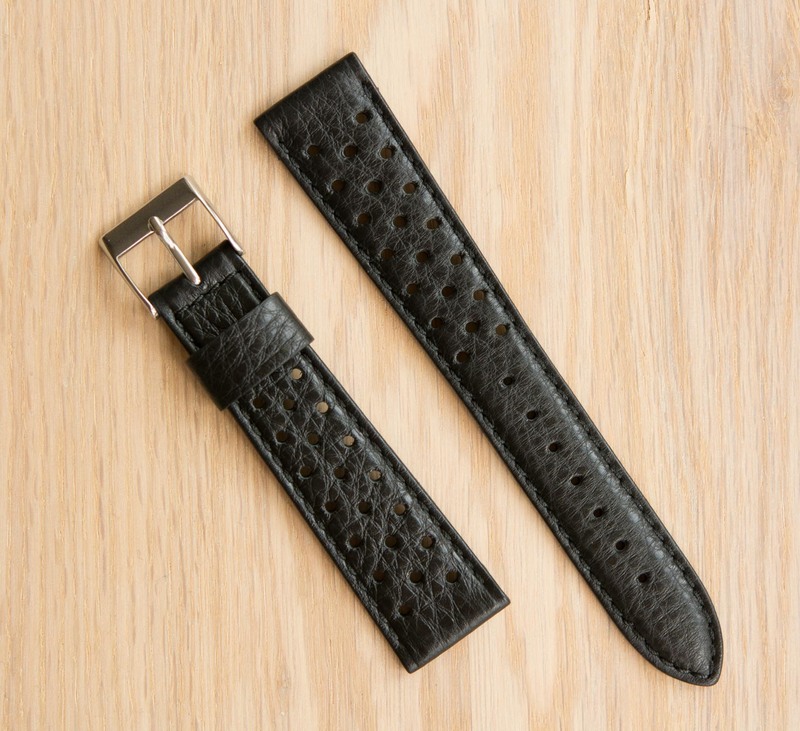 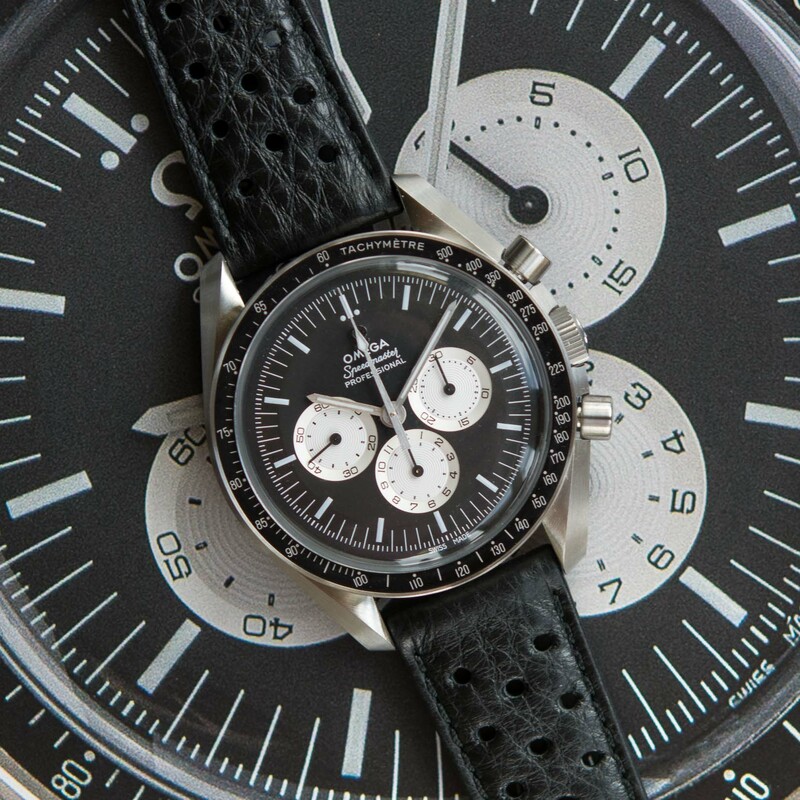 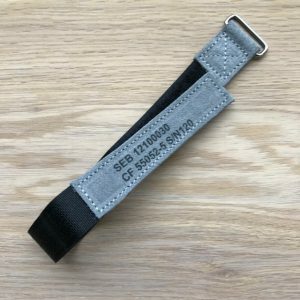 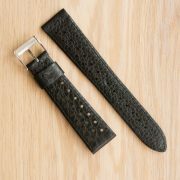 The (black) racing strap resembles those that were used on chronographs in the 1970’s. 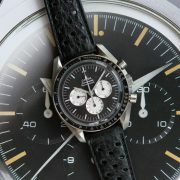 Heuer and Omega chronographs from that era for example, look great on these straps. 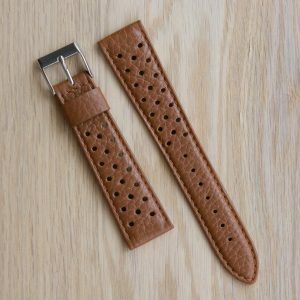 The racing strap we offer you is made by artisans in Rome that used perfect quality Italian leather. 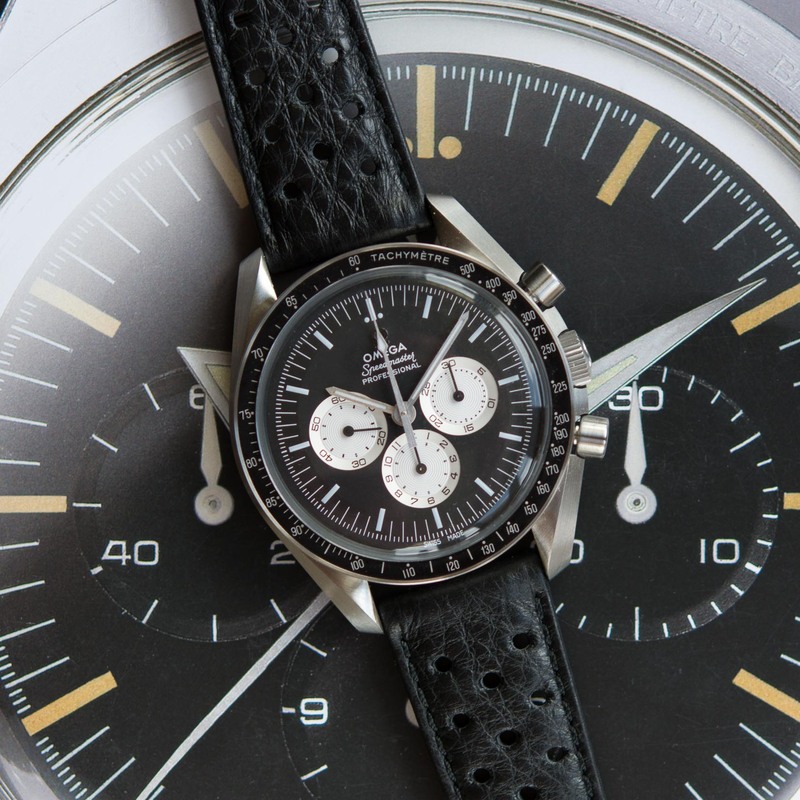 A perfect match for your chronograph, new or vintage. 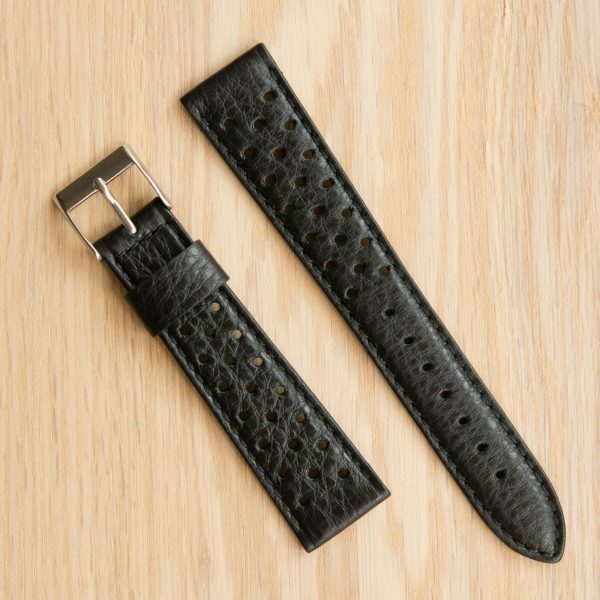 Buckle size is 16mm.